Rather than write a straight biography, former Australian Greens leader Christine Milne has chosen ‘objects’ to illustrate her life, her ideas and her actions. Her father’s gun represents old-fashion farm life and a connection to childhood, but is also a symbol of the debate on gun control and how the Greens not only preceded John Howard’s reform but made it possible for him to get it legislated. 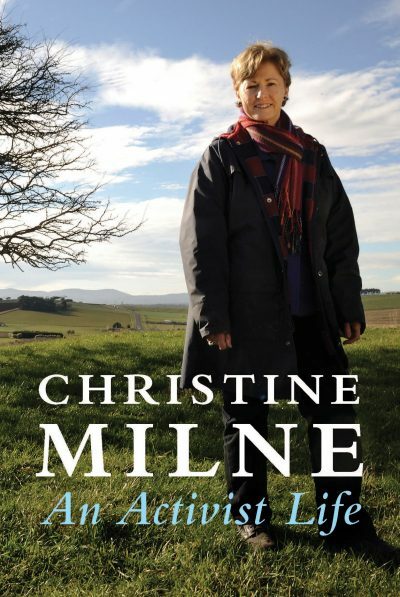 Milne has long been acknowledged as one of the best political brains to come out of Tasmania, and the stories in this book demonstrate astute political judgement, unerring conviction and genuine compassion for other humans. The chapter on ‘Being a Woman in Politics’ is particularly powerful, and her views on other women in the political sphere are shared without fear or favour. Be prepared to adjust your views of Julie Bishop and Julia Gillard! This book offers a fresh view of the Australian parliament under Howard, Rudd, Gillard, Abbott and their offsiders, and a good argument for a third party and a minority government. It’s mixed with stories of travelling and discussions about art and the importance of family. There is a lot of wisdom in this book. It would also serve as a good introduction for young people interested in becoming more politically active.